Oscar Wilde was a playwright, a poet and an incredibly quotable man. How about a piece of his pithiness every day? Your choice of original, LOLWilde and with a Hip Hop flair, Buck Wilde. The styl of quote to be shown can be selected by touching the button in the lower right corner of the main screen. The hour of delivery for daily texts can also be adjusted in the Settings app under “Wilde Texts”. Love the verse you got? Tap the button to quickly share it on Facebook. All verses can be quickly shared to any available service on your device, including as a picture, tweet, text message and more! Tap and hold on the quote to copy it to the clipboard and paste it in other applications. 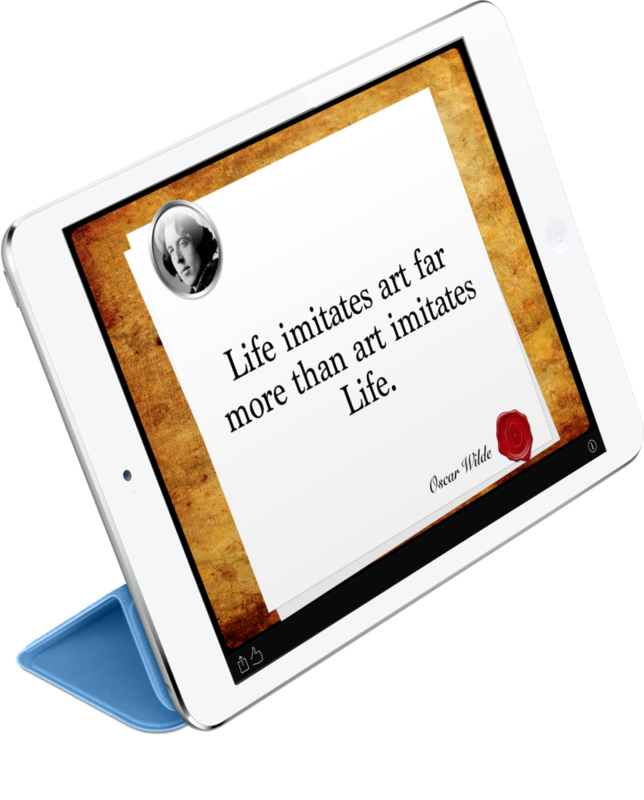 Install the included Today Widget to get the daily quote in Notification Center. Search for quotes easily from Spotlight search. 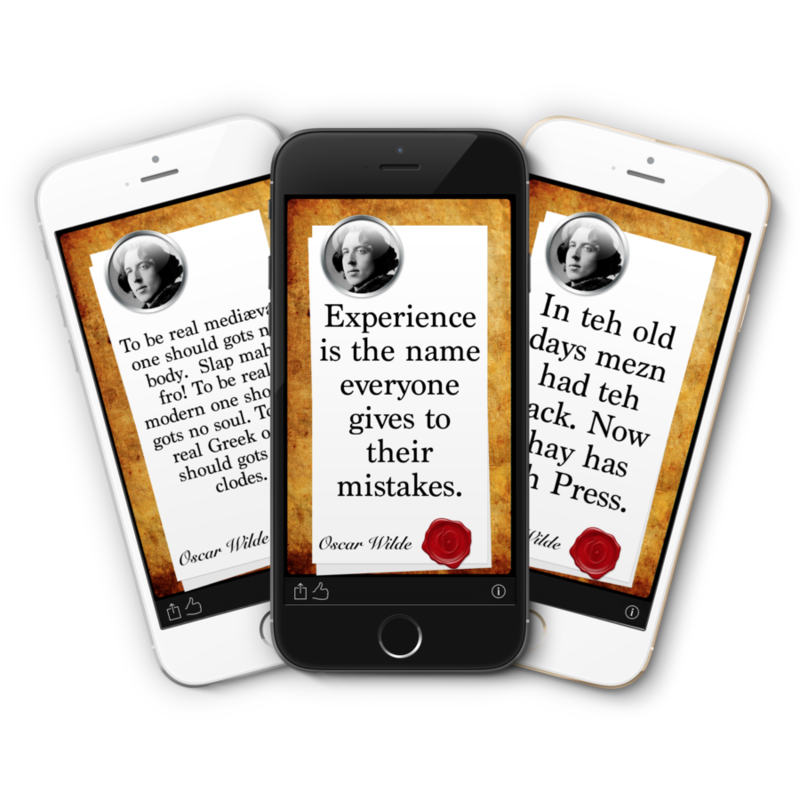 All quotes are indexed and searchable on your iOS 9 device. Split View is supported on iPad and iPad Pro. 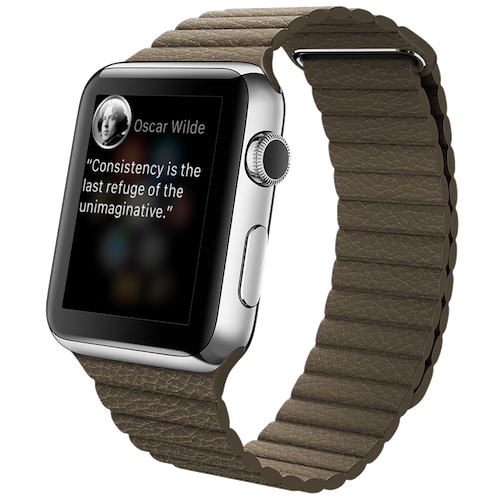 The quote of the day can be quickly accessed from your Apple Watch. Either take a look at the quick Glance, or launch the Watch app directly. Need support? Have any feedback or suggestions for the next version? Feel free to email us! Copyright © 2019 Catloaf Software, LLC. All Rights Reserved. Original app by Tone Milazzo.